It’s Monday again – funny how that happens every week – and it’s time for another Merchandise Monday! We thought we’d mix it up a little, so this one’s for the Marvel fandom. 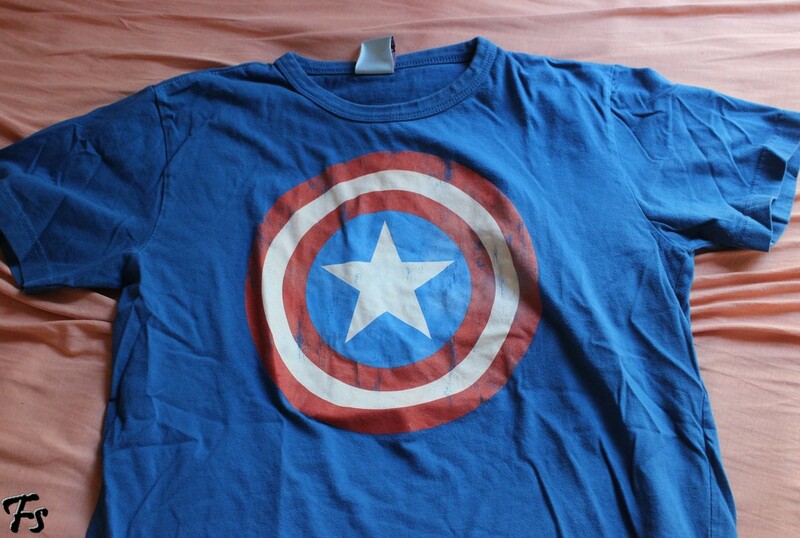 I bought it last year at an amusement park, because, after Captain America: The Winter Soldier, Cap got a lot cooler – cool enough to walk around in a t-shirt with his shield on it. Frodo wanted one too, but she looked in every single store in NYC and couldn’t find one in that color (it’s the best color!). She got one only the day before yesterday, because one of her friends went to the same amusement park and bought one for her. 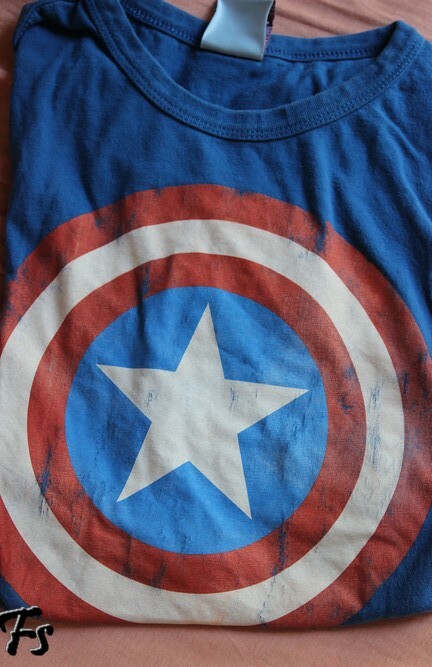 Which, of course, means that we can now walk around in the same t-shirt and be freaks in public together.